COMMENTS: Smells like real coconut...used for Easter soy... coconut candy eggs ...no calories! 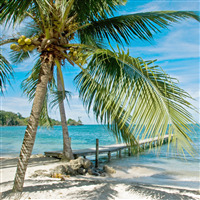 COMMENTS: Caribbean Coconut fragrance oil is one of my favorite fragrances. It works well in cold process soap. I make body butter with this fragrance oil also. If you like coconut you will love this fragrance. "Loses some scent in CPOP"
COMMENTS: This smells very nice OOB, but once put into CPOP soap it loses some of its fragrance. It actually almost takes on a sweet peppermint smell surprisingly. It doesn't smell bad, just not the coconut smell I was expecting! 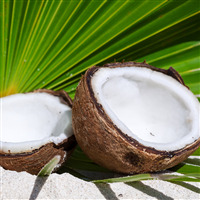 COMMENTS: I had been looking for a good coconut fragrance oil and found it here! Stayed put in my soap after curing. LOVE! COMMENTS: Coconut is one of my favorite scents and this one is Perfecto! It smells like suntan lotion and pina coladas! COMMENTS: Great fresh scent. Works well with CP. COMMENTS: I absolutely love this scent — I’m going to make guest soaps for a hotel in Puerto Rico so I think this will be a big hit with the place, everyone loves this scent in bath bombs.. makes you feel like your on vacation.. ahhha .., I use a Caribbean blue mica and haven’t had any problems with discoloration. COMMENTS: If you are looking for a scent that’s like the real deal coconut...this is the one! I have a customer that her customers were wanting coconut. I never thought I would find one that smells so good and just like coconuts. Does great in my CPOP soaps. COMMENTS: My customers love this scent. Smells like real coconut. Behaves well in cold process soap. COMMENTS: smells like coconut but not like suntan lotion! great!!! COMMENTS: Great all-around coconut fragrance. Strong and tropical - It blends well with everything. COMMENTS: Great quality! Highly recommend! Quick delivery! COMMENTS: I was hoping for a stronger coconut scent. Out of the bottle it smells like it would be strong but after using at 6% in CP soap the coconut scent is not there (soaped at room temp). It smells good, sweet, but not coconut. I waited six weeks to judge it and the scent didn't come through. I will order again because I like the scent for blending with Peppermint Candy scent (smells like mint chip ice cream!). Well behaved in soap, no acceleration, ricing, and discoloration was less than expected. Final scent is light and sweet at six weeks. "Makes my husband smell incredible!" COMMENTS: I bought this fragrance a while ago to make a body spray for myself. Although I loved the smell in the bottle, once I used it on my skin, I didn't care for the smell. One day I got into the car with my husband, and he smelled incredible. I asked him if he had a new cologne or body wash, to which he said no. The next day, he was in the bathroom and I smelled the fragrance again, so I asked him what that smell was, and he shows me this little bottle and says, it's this aftershave spray you gave me. I chuckled and pointed to the actual aftershave and said that's not it hun. However, he now uses it on a daily basis as his "cologne." It smells completely different on him. He says he always gets compliments that he smells nice. It's got a very light, tropical scent and the coconut smell, on him, becomes almost sultry and musky. I now order this fragrance regularly for him. Please never stop selling this fragrance, we absolutely love it! COMMENTS: We've been using this scent since 2004, and it is by far the best coconut scent ever as it does not smell like suntan lotion or Malibu rum! Does not turn lotions brown either, a big plus! COMMENTS: If you love coconut you will love this one. this one is also a must have. I will be purchasing a larger bottle next time. COMMENTS: Smells just like the real coconut. COMMENTS: I used this in a 3lb batch of CP soap with 76 degree CO, Shea, OO, PKF, Castor, S. Almond, & Beeswax. I used Neon Micas (Blue, Green & Yellow) and have not experienced and discoloration from the Vanilla Content as of yet. I made this soap 5 days ago and cut it approximately 16 hours after pouring. I did spray the soap with Alcohol after it was poured in the molds and again after the bars were un-molded, & cut. I continued to spray them for the next few days as well as rotated them to ensure that all sides received the same initial amount of exposure to the air. So far so good!! The neon colors are staying bright and beautiful. There’s no brown discoloration that I have seen so far! YEAH!! The only thing that I experienced was that this is a fast moving FO. Once it hits CP Soap Batter it’s ready to hit the mold. If you have any plan to do a swirl or some kind of color variation, this is one of those scents that you will want to note to keep it as simple as possible - it’s a fast mover. The smell ios pretty decent for a Coconut FO! I always want more Coconut! ??. But it isn’t over powering, and it is a very nice scent!! I’ll be buying more!! COMMENTS: I really like this scent. I used brown and gold for the soap, so I can't speak on discoloration, but otherwise it behaved. The scent did morph a bit in CP, but still has a nice tropical smell to it. "Best Creamy Coconut Scent Ever!" COMMENTS: I am in love with this fragrance!! I have used it in bath bombs and bath salts so far and both smelled so amazing! I will be ordering a lot more of this in the future & I will be using it in lotion and other products. It has such a creamy coconut scent that is just mouth watering. COMMENTS: Smells amazing,smells like fresh coconut. COMMENTS: In my rural state of Maine, people here love this coconut scent that brings them a sense of the tropics, especially during winter time when people are getting cabin fever and aching to go to the beach. For a woman like me who grew up in the tropics, this scent reminds me so much of coconut-based desserts! Very coconut-y! • Smells like coconut desserts! 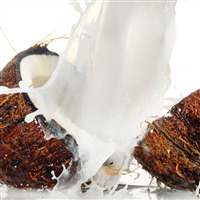 COMMENTS: Love this scent for Coconut Cold Process and Hot Process Soaps! This oil performs well in both types of soapmaking. COMMENTS: This scent brings me back to the Summer time! It has a strong, lovely coconut scent to it that makes me want to relax. I used it in my soy candles and was unsure how it would turn out, however, it remained strongly scented and was perfect as a candle all year around. COMMENTS: Awesome scent that is easy to use and last forever. Great with melt and pour and fills up the whole room in soy candles. COMMENTS: Love the smell of this one! COMMENTS: This is a great coconut scent! It is one of my favorite fragrances and customers love it! COMMENTS: This fragrance is one of my all time favorites. 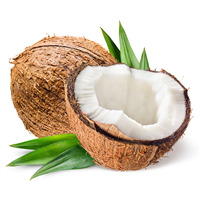 It's not the fake coconut that you get in some lotions, but a true, warm coconut that does very well in CP soap and bath bombs. COMMENTS: Great scent for when you want an island scents. COMMENTS: I love this scent! It works well in perfume and I love it that much I have the whole house smelling like it. :) Will be buying more for sure! "My goto summer scent! " COMMENTS: I LOVE this scent for every product! It does well in CP soap. A customer favorite year after year! COMMENTS: I really wanted this to be my signature Coconut fragrance, but most of the FO pooled on top of my CP soap within the first few hours of curing. It reabsorbed for the most part after 24 hours, but the fragrance was pretty light. I even had clay & castor oil as an anchor for the scent. The fragrance is really pretty, but it just wouldn't behave for me, so I'm looking for another coconut fragrance to replace it. COMMENTS: This is a great scent. My customers love it too.its a popular lotion. It just says hello summer time! It such a real scent. I will buy this product again. It is a go to summer scent. "Excellent in both CP and HP"
COMMENTS: The scent is wonderful! Favorite to men and women & kids! COMMENTS: A very sweet and lovely smelling coconut.. Reminds me of a sweet made from coconut and sugar. COMMENTS: Deffinantly a best seller and my personal favorite!! Tropical beach heaven in a bottle! COMMENTS: I made lotions with this giving a bit of a suntan scent to them. But when I mixed it with the Lime EO to create my Coconut Lime butter it set it off! Just the right hint of coconut didn't over power the lime it was like they were best friends allowing each a bit of the spot light. Made me think of a drink. Not overpowering when worn if the breeze hits you could smell it made me think I was on an island. Cant wait to make the matching soap! "Wonderful scent, can't wait to use again!" COMMENTS: I used this scent to create a loofah soap using Shea butter melt and pour from WPS! It turned out amazing! The smell fills my bathroom and lingers long after I've showered. Can't wait to use it in other products. COMMENTS: I am very happy I ordered this fragrance! It reminds me of sunscreen from when I was a kid and the beach. I am so very happy I am using it. COMMENTS: This oil transported us to the time when we were on a cruise and visited the Caribbean islands Mmm... such a fresh and delightful scent. COMMENTS: Love this scent, best coconut vanilla I have found yet! "Great spa scent for bath bombs"
COMMENTS: This scent is a great spa-type fragrance we introduced to our bath bombs line and it has been so popular we cannot keep them in stock very long. COMMENTS: This is a Caribbean cruise and island hoppin in a jar! I made a complete cruise travel set of soap, bath bomb,lotion, spray, shampoo and conditioner! Better than the spa and lots cheaper! COMMENTS: I love this FO's final scent in CP soap. It isn't cutesy which I appreciated. That being said, it definitely cured into a translucent tan in my soap. I was expecting it with the listed vanilla levels but I did want to mention it. COMMENTS: This is a true coconut scent. Works great with the lime E.O. COMMENTS: So I bought this thinking this will be my number one go to sleep and it would be my company's namesake and sadly it isn't. I used it in MP and sadly I'm extremely disappointed it doesn't smell like much of anything. I tested it out on some people and they told me they either couldn't smell it or they couldn't put their finger on what it smelt like. For a small business that's awful news to hear. COMMENTS: This is not my favorite fragrance. There's something that smells off. It smells like the old style coconut sunblock. I really don't like this one. COMMENTS: This Coconut Fragrance oil smells absolutely delicious and has received great reactions among customers. 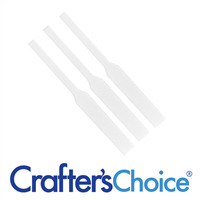 I use it in my soy candles, and it has terrific cold and hot throw. 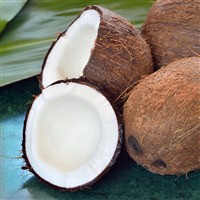 It is not an overpowering or generic fragrance in any way as it radiates such a genuine coconut scent. I love it! COMMENTS: I love the scent of this fragrance. COMMENTS: This scent is one of my favorites and my customers like it as well. It is definitely a happy memory scent. The smell does well in CP and moisturizer. COMMENTS: This is a wonderful fragrance. It has the perfect balance of coconut. COMMENTS: Customers LOVE coconut year round! I like this coconut, but it doesn't smell as coconutty as I want it to. I think I am going to try a different Coconut this next go around, but still enjoy this scent. COMMENTS: My absolute favorite coconut fragrance oil. I've tried many other and this is still the best. It isn't too strong and does not smell too nutty or sweet. It's just too perfect! I use it with body and bath products. "Not what I expected "
COMMENTS: The fragrance oil didn't cause my oils to seize or anything bad! It smells so wonderful in my soaps! COMMENTS: Very strong, smells great. COMMENTS: I absolutely love this scent! I needed a fragrance reminiscent of the Caribbean and this was the perfect one. I use it in my room sprays and EO/FO blends. Couldn't be happier and my customers love it. COMMENTS: I was actually looking for an authentic coconut smell. This was not it, but it did still smell very nice. It was a bit fruity with a hint of coconut. COMMENTS: Made cold process soap and behaved very well. No acceleration or ricing! Smells amazing! COMMENTS: This is a bright and scrumptious scent that is adored by customers! I use it in so many products and pair it with the bright yellow color yo match the perfect scent! My customers love this scent 3-1 on most others. I have not had any negative responses regarding! COMMENTS: This is a smooth coconut fragrance that smells organic. No chemical smell. It soaped beautifully and did not speed up my CP soap. COMMENTS: My favorite thing about this fragrance oil is how well it holds up CP soap. I have been looking for a well-balanced coconut fragrance oil & this is it. Anything I make in this fragrance is a customer favorite. "Smells like a day in the tropics." COMMENTS: I used this fragrance in cp soap. My whole house smells like the tropics, with extra emphasis on coconut. Worked great in cp soap and am going to try it in bath bombs next. COMMENTS: Customers love this scent! It's an amazing blend of coconut and vanilla, I smell a hint of banana too. Very popular. I used it with lotion. Shampoo is next! COMMENTS: Very nice tropical coconut scent! It has a bit more pineapple to it than I expected, but still very nice. COMMENTS: I purchased another coconut & I liked it, though it was Very light. I thought I'd give this a try & customers adore it! It's not my personal fav, though I think it's ok, but I haven't had a customer yet that didn't love it. It really reminds me of suntan lotion & summer, whereas the other coconut smelled more edible. They both are pretty true coconut scents, but this one has tested much better amongst customers. I'll buy again. COMMENTS: I kind of feel like this smells like a coconutty suntan lotion. I actually really love this scent and will continue to purchase! COMMENTS: I used this scent in a creamy cow's milk CP soap. It performed wonderfully! It did not accelerate the trace of my batch at all. I split the batch and scented the other half with Pomegranate FO 544 and wow!!! I usually don't mix FOs because I'm not confident in my ability to do so, but I am so glad I did this time! I will definitely order this scent again. COMMENTS: Absolutely love this scent! I've purchases so many coconut scented FO's and could not find one I liked. Until now - no chemical, fake coconut scent with this one. The genuine scent of coconut with a hint of vanilla is so soothing and tropical. Will definitely be purchasing this from now on. Thanks so much WSP!! COMMENTS: Love this one, and it reminds me of going to the beach. Did not accelerate and the scents held up well. 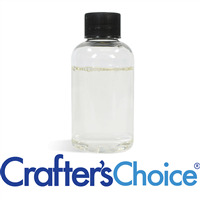 "Crafters Choice™ Caribbean Coconut Fragrance Oil 1"
COMMENTS: This FO smells delightful in the bottle. I used it for CP soap and the day after I unmolded the soap the scent started to fade and it lost all the coconut smell. What was left was a very faint vanilla scent. It may work better in lotion or bath bombs, but I was disappointed with this FO in soap. COMMENTS: Used this to scent mu bath salts for an upcoming wedding. Nice scent. It's a keeper for me. COMMENTS: Great fragrance if your looking for a tropical fragrance, smells like a tropical drink with a hint of coconut. My husbands loved this fragrance and so did my friends. Had no problems with this fragrance I am very pleased with it. COMMENTS: Perfect for any Island type soap theme! COMMENTS: This smells like a breezy, ocean, sweet smell...it was pleasant. "It bombed with customers. ??" COMMENTS: I personally liked the fragrance. It just wasn't quiet what my customer base was looking for. It accelerated trace just a bit. I am sure I will order this again and try a twist on it with an extra additive. • A little stronger on the coconut. "Scent is nice but wanted more"
COMMENTS: Scent is nice but I wanted more. I had to use quite a bit to fragrance my soap. Used in cold process. I just like strong scents. This can be used for a hint or mild soap. So some may like it's hint of coconut. Good for those who like a hint of fragrance. "Smells like I'm on an island!" COMMENTS: This has been a top seller in my line of products. I love the strong and lasting fragrance that this product gives my products. COMMENTS: This scent is great for people who dont really love coconuts. Customers favorite. COMMENTS: This fragrance smells great. Its not too strong or overpowering. So far I have used it in soy candles, mp soap and lotion bars. COMMENTS: Good enough to eat! Smells like a sweet coconut macaroon. COMMENTS: Reminds me of Beach, Suntans, summertime fun. We are working on our summerline now and this will be in it. COMMENTS: Wonderful coconut fragrance. It doesn't smell like a fresh coconut, but there's no mistaking the scent once you smell it. It's a customer favorite for body butter, bath bombs and sprays. I mixed it with lemongrass essential oil and got an amazing fragrance. It's a staple. COMMENTS: The vanilla content warms the soap color to a rich toasted coconut light tan color. Fragrance is excellent, like a rich coconut sun tan oil. COMMENTS: I think this smells like banana and coconut but it is a very tropical scent and I have used it in my soaps, scrubs, and body butters! Definitely a great scent for the summer. COMMENTS: I made lotion for my daughter and she just loves this smell. I like it too, because it smells of exotic island paradise or somewhere tropical. I will be ordering more, I am just mad at myself for not ordering a bigger bottle. WSP has the best fragrance oil bar none. No one can come close to them when it comes down to their fragrance oil. This fragrance oil proves once again, WSP, that you are best. COMMENTS: This reminds me of Summer time. The beach, swimming, and soaking in the sunshine. COMMENTS: This works great in cold process soap, no acceleration, discolors to a nice light brown. Scent holds well even after 6 months. Good seller. COMMENTS: Smells wonderful in cold process soap. Behaves well. "One of my top 3 favorites!" COMMENTS: One of the only products I will actually stress over if it's out when I need to restock. LOVE it to death! It's the perfect tropical coconut vacation! COMMENTS: Of all the WSP fragrances I have purchased, this is my least favorite. Even though I am not partial to this scent I know a lot of people will love it. Just doesn't do anything for me. Will try blending it with other fragrances where I just want a hint of coconut. COMMENTS: I love love love this scent. Smells like the classic hot body suntan lotion that I can't get enough of. Worked great in my goats milk soap! COMMENTS: I sold these soaps right away. I love the coconut smell and this one just took me away. I'm buying more for my soap I'm making this summer. Love it! COMMENTS: This stuff smells amazing. I love the smell of coconut, but some frangrances smell to sticky sweet. This stuff smells just right. A little goes a long way in your product so you don't even need much which is great when it comes to budgeting out your products to make a profit at craft shows. The scent lasts once the finish product has been applied and people seem to love it. COMMENTS: I've used this in a coconut chai soap that always sells out quickly. By far my favorite coconut scent! COMMENTS: Used in m&p and for making Smelly Jellies. Love the scent. COMMENTS: This is delicious smelling! I definitely get a hint of sunscreen from it but not enough that that's all I think of. I think I will be keeping this in the line up. I want something with coconut and this should do the job. COMMENTS: My customers love this scent! It holds well in MP soap, salts, & lotion. Perfect balance on scent not too weak and not too strong. COMMENTS: I have told all my soapy friends to order this fresh coco smelling FO. It is sweet and not to overwhelming. One of my new signature fragrances. LOVE, LOVE, LoVE it. COMMENTS: This is the fragrance I sell out of every time I make it. It works very well in hot process soap and also in bodybutter. The fragrance holds up for a long time and I have never had a problem with it seizing my soaps. "great scent that is long lasting"
COMMENTS: This is one of the few coconut fragrance oils that I love. When making CP soap, it is a bit fuzzy at times and tends to rice occasionally...but I find that if you warm the fo and then add slowly in blending, it turns out well. COMMENTS: Great creamy coconut fragrance in my M&P Three Butter Soap Base from WSP. However using a color stabilizer is a good idea my white soap has a yellowish tint to it but live and learn. This scent is a keeper for my spring and summer line! "loved it in bottle but..."
COMMENTS: Soap lost ALL smell while curing. Very disappointing. Very slight discoloration. COMMENTS: Has a very nice coconut scent. Works well in melt and pour. COMMENTS: Love this FO, smells amazing and reminds me of a tropical vacation! Used this in my coconut milk body wash and it's flying off the shelves! COMMENTS: I'm not a huge fan of it, but my customers love it. COMMENTS: This fragrance smells almost exactly like the Coconut fragrance, just a slight banana note added to it. COMMENTS: I love everything Caribbean but this one is one that does not linger. I've used it on soap and lotion and it's excellent for customers who do not like a lot of fragrance or prefer "almost" fragrance-free. COMMENTS: I wanted a scent that was kind of tropical but not all coconut. This fit the bill! It smells amazing and held up perfectly in my cold process soap. It's like being on vacation on a tropical island without smelling like suntan lotion. Love it! COMMENTS: This is a great strong scent and it smells amazing. The frangrance held up well in cold process soap. No acceleration. COMMENTS: Reminds me of the tropics, very good scent, I sell it all year round. Excellent Scent Throw! !! Smells so good! COMMENTS: I was looking for something tropical with a coconut scent. This fits the bill perfectly. Sweet but not overly, with a nice hint of coconut. Behaved beautifully in my CP with no acceleration or ricing. I used a vanilla stabilizer and got the creamy white I was looking for. The only negative comment is that the scent seems to be rather mild. I'm hoping that I can still smell it after the cure. COMMENTS: This is a great scent for soaps and lotions. COMMENTS: This is 'must have' fragrance in my line. Work great in soaps (cold/hot process) with Vanilla Stabilizer. Also I use it in my body butters and lip balms. Customers love it! "Caribbean Coconut nice in lotion"
COMMENTS: I used this in lotion and people love it. I am now going to make cold process soap with it. I can smell the coconut in it and it smells nice. I will order this one again.This one reminds me of being on the Islands and just relaxing. COMMENTS: Caribbean Coconut Fragrance Oil is awesome! It smells so good! Perfect for any tropical soaps. Reacted well and didn't have any problems. Used it in my 100% coconut oil soap. COMMENTS: I used a coconut soap base and added this fragrance oil. I thought maybe it might be too much but it has a subtle scent that lasts. I would highly recommend this to anyone with a tropical love of scents. COMMENTS: I love the smell of coconut, but this did not have that strong smell of it. Other people could smell it a little, but it was not what I was looking for, so I will keep trying. COMMENTS: Very good coconut scent. Works well with oatmeal soap. Coconut Oatmeal is very popular. Does discolor to light brown. Behaves in CP, does not accelerate. Lasts well. COMMENTS: I love this scent and my customers ask for my products with this scent all season. COMMENTS: I love this f.o. It smells like a tropical island. Works wonderfully in soap with no acceleration. It also holds up very well in lotions and wax. COMMENTS: I am in love with this fragrance oil. No acceleration and no ricing. It came out great in my soaps. COMMENTS: Love this coconut FO! Combined it with Coconut lime verbena and made cp soap. It soaped well and did not accelerate trace. The bars are curing now and I know they will be great sellers. 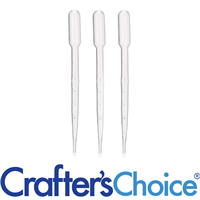 I also use this FO in lotion sticks and they have been very popular. Highly recommend! "Favorite all around coconut fragrance"
"Smells great, though more of a "shampoo" coconut"
COMMENTS: Love this smell and use it all the time in our lotion bars. But, it is more of an "artificial shampoo" coconut vs. real fresh coconut. That being said, it smells great and we will order again. COMMENTS: This is an excellent fragrance. I use it year round in my lotions and soaps. COMMENTS: This smells awesome! Very tropical...yummy! My customers love it! "Not as coconut as it should be"